Kimi Raikkonen says lapped traffic was less of a problem for leaders in the first race of 2013 than it was during the previous season. â€œLast year there was some cars, some teams that were not very easy to get past when we were lapping them,â€� said Raikkonen during the press conference ahead of the Malaysian Grand Prix. â€œBut at least in the first race seems to be a bit better so no complaints on that. Alonso said Lotus's performance did not unnerve him at all as he is sure the 2013 Ferrari is equally good. "I think the pace of the Lotus was very good, but nothing that we could not do," he said in the Sepang paddock. "They had a very clean race, with no traffic and a very good strategy but the pace was nothing out of reach. So. 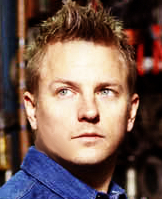 Kimi will win the championship. Kriss, miezi, Boudica, thanks so much for the pictures! so many nice pictures!